Grevillea lanigera Coastal Gem would fit into any landscape where you might want a low Juniper. 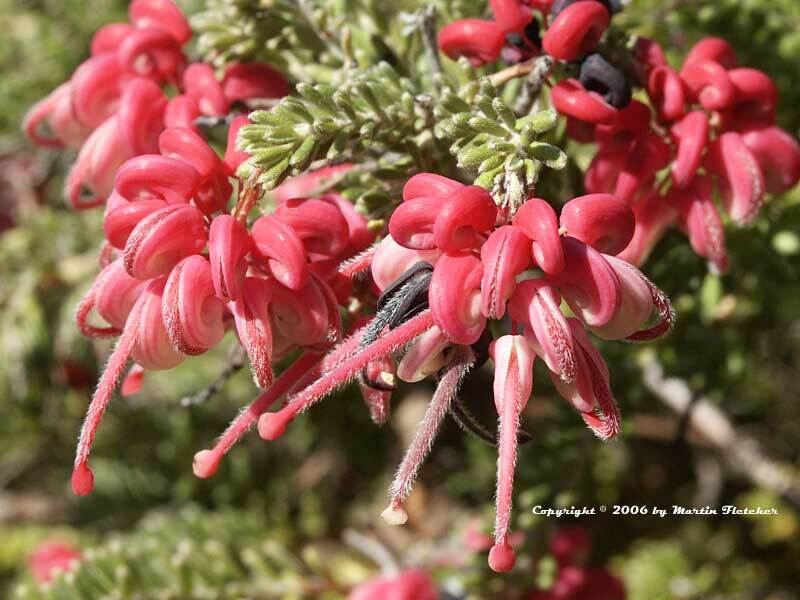 Only Grevillea lanigera Coastal Gem is better, if you like flowers. The plants have very tightly spaced small leaves that give a fine texture to the plant. Grevillea Coastal Gem will grow to 2 feet tall and 3-4 feet across. I have planted Grevillea lanigera Coastal Gem in less than perfect conditions and they have consistantly performed quite well. Temperatures have dropped into the teens with no sign of damage to the foliage or blossoms. Grevillea Coastal Gem seems like it is always in bloom but the heaviest display is in the early Spring. Flowers and foliage of Grevillea lanigera Coastal Gem. High resolution photos are part of our garden image collection.